The transition to a society completely reliant on smartphones is nearly complete, as people have used their phones more and more over the past 10 years. They’re definitely as functional as computers and much more convenient on the go. Smartphones have changed the way we relate to the world around us, and functionalities are continuing to be added to our personal devices. In the eyes of a business holder, cellphones are a direct connection to consumers. With mobile versions of websites and shopping apps, it’s easier than ever to lure customers to make quick purchases on their phones. This shouldn’t be neglected, especially by a developing eCommerce. 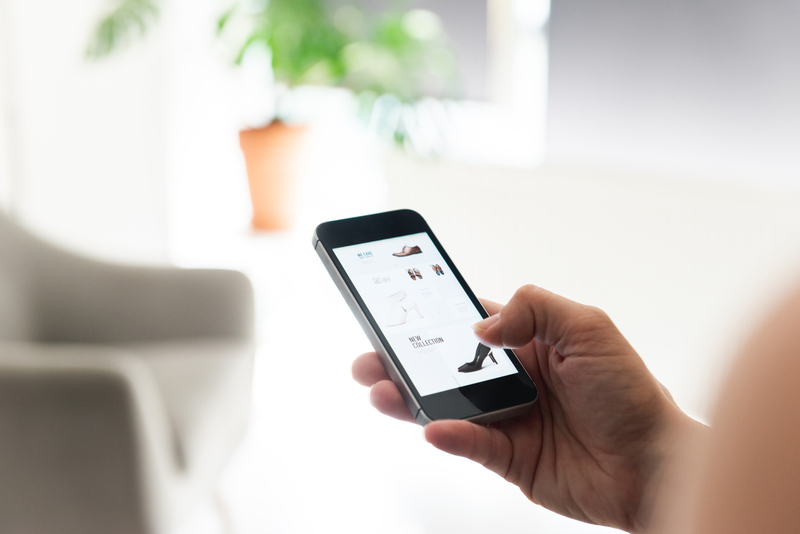 The following are just a few reasons why the future of eCommerce is mobile. As smartphones become more advanced, the need for numerous devices decreases. Prior to data and wireless capabilities, the only way you could access the Web was through a laptop or desktop. Now that everything can be done on a device that fits in your pocket, the desire to have computers has become less. Sure, individuals will still need computers for work and to access other software, but that doesn’t mean they’ll continue to use them to shop online. Plenty of eCommerce businesses have detected that change and created mobile-friendly sites and apps. It might be even easier to buy something from your phone than it is from a computer because these capabilities are so user friendly. The transformation of cellphones is dramatic, and as a business, you should know what type of device your customers are using the most. Sometimes we’re tempted to buy something when we’re out and about. Our interest could come from walking by a store or hearing a recommendation on the street. Luckily, we’re able to pull out our smartphones and buy something with one tap. These impulse buying habits are a huge contributor to the success of eCommerce companies in modern times. If your customers are able to access your site on the go, then that’s a huge plus for your business. In addition, more purchases originate from social media. In fact, nearly 80 percent of social media time is now spent on mobile devices. When your customer is perusing social on their phone, they’ll see any content or ads you post and might want to click on a product to directly buy it. That’s why it’s crucial to have a mobile presence on multiple platforms. Knowing what you know now, it’s apparent that your eCommerce needs to be mobile friendly if you want to be successful in the future. Being in the eCommerce world is already competitive, so imagine what it would be like if you miss out on being on mobile. It seems difficult to transition your business, but in actuality, it’s easier than ever. If your website doesn’t have a mobile version already, you can consult with a web design expert to add this. You should also continue to execute a multi-channel marketing plan, as customers are more likely to engage with these platforms from a mobile device. Always keep the future in mind, and stay ahead of the mobile wave.